Abdullah ibn Amr (رضي الله عنه) asked the Prophet (صلى الله عليه وسلم): In how many days should I complete the recitation of the whole Qur’an, Messenger of Allah? He replied: In one month. He said: I am more energetic to complete it in a period less than this. He kept on repeating these words and lessening the period until he said: Complete its recitation in seven days. He again said: I am more energetic to complete it in a period less than this. The Prophet (صلى الله عليه وسلم) said: He who finishes the recitation of the Qur’an in less than three days does not understand it (Sunan Abi Dawud 1390). It is reported that Ibn ‘Umar (رضي الله عنه) said, “We were the beginning [the heads] of this Ummah, and perhaps a man from the best of the Companions of Allah’s Messenger (صلى الله عليه وسلم) and the most righteous amongst them could maintain only one chapter of the Qur’an or thereabouts. For the Qur’an was weighty upon them, and they were given knowledge of it or action based on it. But the last of this Ummah will find the Qur’an light [and easy] – the child and the non-Arab will recite it, without possessing any knowledge about it.” (Al-Harawî, Dhamm Al-Kalâm wa Ahlihî Vol. 5 p144). How did the Sahabah study the Qur’an? If we take the example of Abdullah ibn Umar (رضي الله عنه), he says: ‘It took me 14 years to finish memorizing Surah al‐Baqarah.’ Fourteen years! I mean we could memorize Qur’an in a year, how come it took him 14 years to memorize just Surah al‐Baqarah? The scholars explain the length of time it took by saying: They also sought to learn the Fiqh, Tafseer, Ahkaam, and reports of the verses and there is also transmitted on authority of the Prophet (صلى الله عليه وسلم) the dislike for quickly memorizing the Qur’an. Imam Muhammad al‐Ghazali (رحمه الله) said, ‘I memorized (the whole) Qur’an when I was ten years old’, here he was talking about a problem we have in the modern method of education in the teaching of Qur’an, he said ‘……as a kid I memorized the whole book but I didn’t understand anything. Because of the mode I was in (of just reciting without learning and understanding), when I grew up and was attempting to learn and understand the Book of Allah, I was finding it very hard because I was programmed to just repeat the verses’. He says ‘It took me a lot of effort, struggle, and striving until I was able to break that cycle and start thinking and contemplating over the ayaat of Almighty Allah. So, we have to go through the struggle in order to understand the Book of Allah. Shaykh ‘Abd ar-Rahman as-S’adi (رحمه الله) said: ﴾ على مكث ﴿ in 17:106 means by intervals at an easy pace, so that they might ponder it and think about its meanings, and derive knowledge from it (Tafsir as- S’adi). Gradual change is the most effective and natural way of reform. This method is acceptable for many issues, like improving a lifestyle, giving up harmful habits and many other changes. 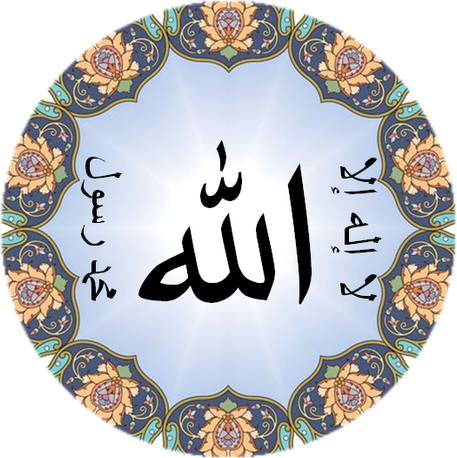 In this blog you can download Qur’an translations and tafsir (Surah/Juz-wise) as individual PDF files in multiple styles (such as Tajwid, Word for word, Colored fonts etc). You can also read Islamic articles on different topics or ask questions.